Stereotytans exploded onto the scene, for the masses, at the NJ Horror Con and Film Festival this past weekend at the Renaissance Woodbridge Hotel in Islen, New Jersey! 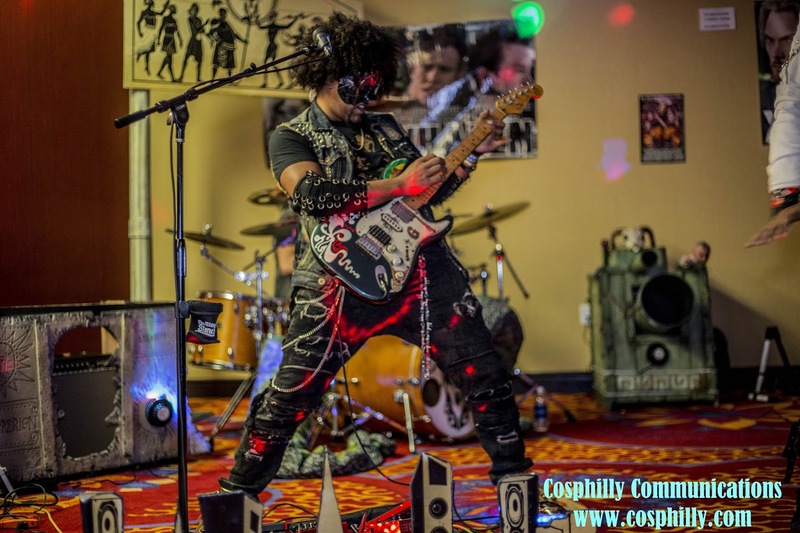 As Saturday's festivities drew to a close, Stereotytans prepared to bring the mortals in attendance through an epic journey of history, comics and rock music. 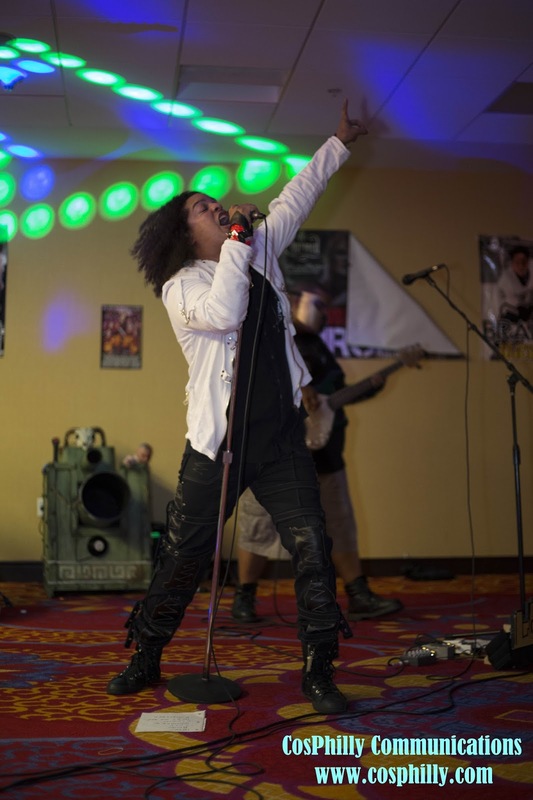 The NJ Horror Con and Film Festival's After Party was full of amped up souls who were ready to experience the power and theater of Stereotytans. Among the crowd were Yan Birch (Stairmaster from the Wes Craven box office thriller, "The People Under the Stairs") and Daeg Faerch (Young Michael Myers from Rob Zombies incarnation of "Halloween"), both experiencing the performance and gazing as Stereotyans harnessed worldly energy to deliver a powerhouse theatrical explosion. Stereotytans piece,"Clowns", was particularly popular amongst the crowd! Appreciation was displayed in the form of an energetic clown sea of enthusiasm, bouncing as fierce as electrons manically circling a nucleus. The performance of "Breakaway" saw the crowd surge with energy that solidified Stereotytans purpose in the moment. The crowd quickly became fierce and devoted members of Stereotytans Demigod Army. By and large, this Stereotytans performance was groundbreaking and earth-shattering. This experience was just a peek into the epic journey of Stereotytans in the near future. We all look forward to seeing Stereotytans as guests at conventions as soon as possible! For the latest, be sure to follow Stereotytans at: @Stereotytans on all social media and at www.stereotytans.com. Also, their self titled, debut comic is available digitally on their website and as part of their "Demigod Package", available for purchase. Check out some clips from their performance in the video with this article!